Some days I forget I even have a blog :) This will be the first post showing the happenings of the last 3 months. 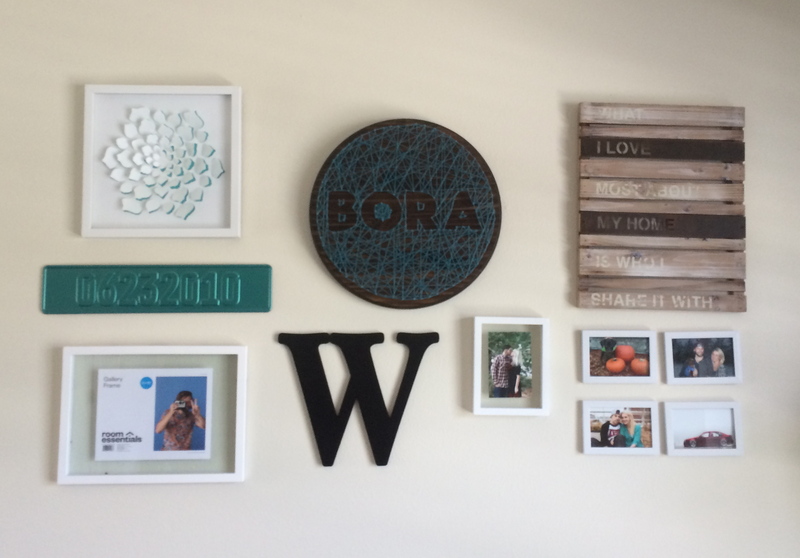 I have put together a small gallery wall in our front room. 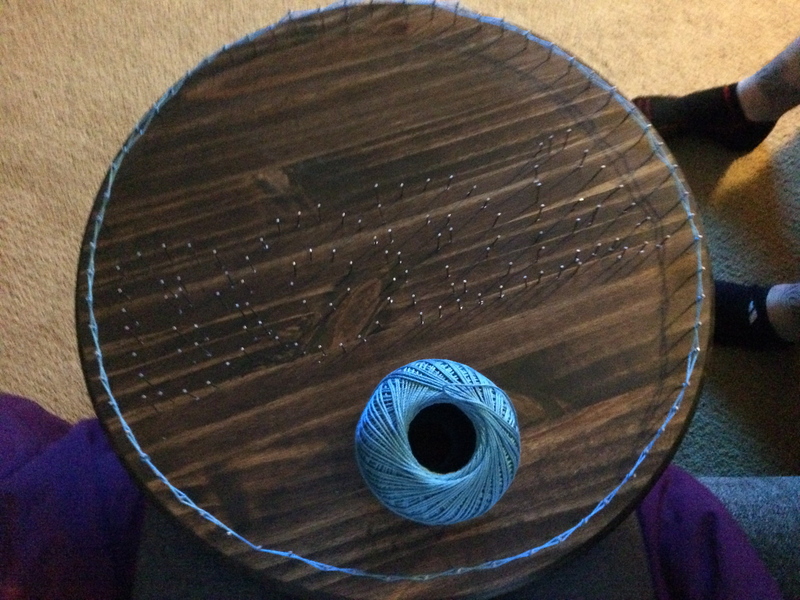 One of the pieces is string art. 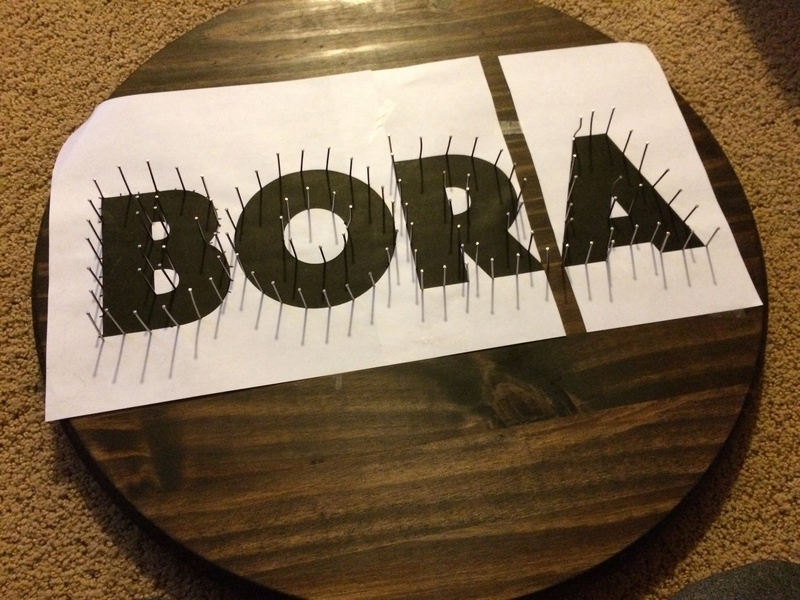 Our dogs name is Bora, so I wanted to incorporate that on the wall. Every day I am becoming even more obsessed with her. I feel like a crazy cat lady, but with my dog. 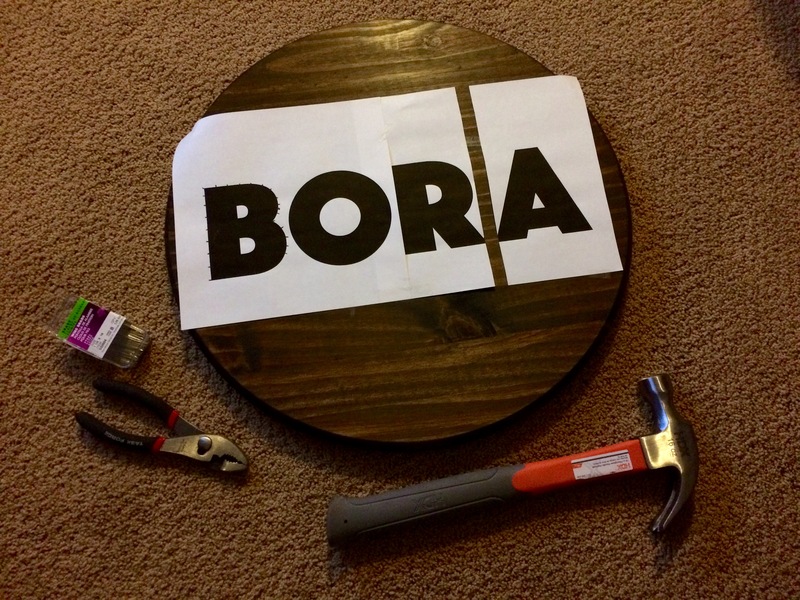 This name also incorporates Bobby’s car, so I was able to get two things we love on the wall in one (Car fact of the day–he has a Jetta, and in Germany they call the Jetta….Bora). 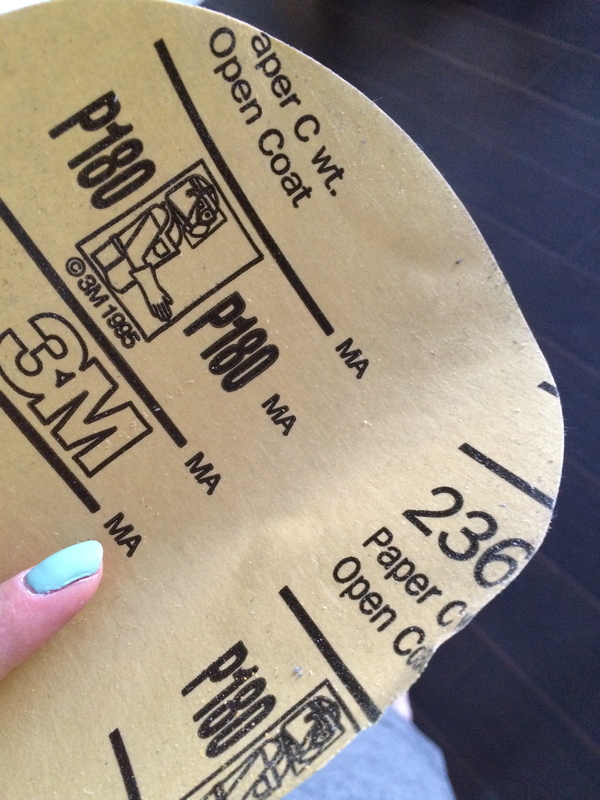 I bought the piece of wood at Home Depot. 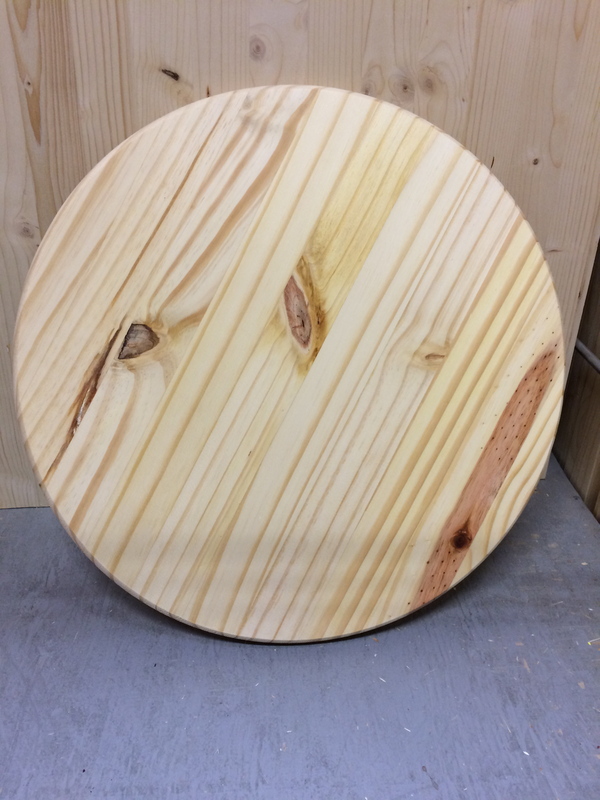 I went in planning to get a rectangular piece of wood, but then I saw this… It required no work on my end besides sanding, so I grabbed it! Plus it was less than $6. 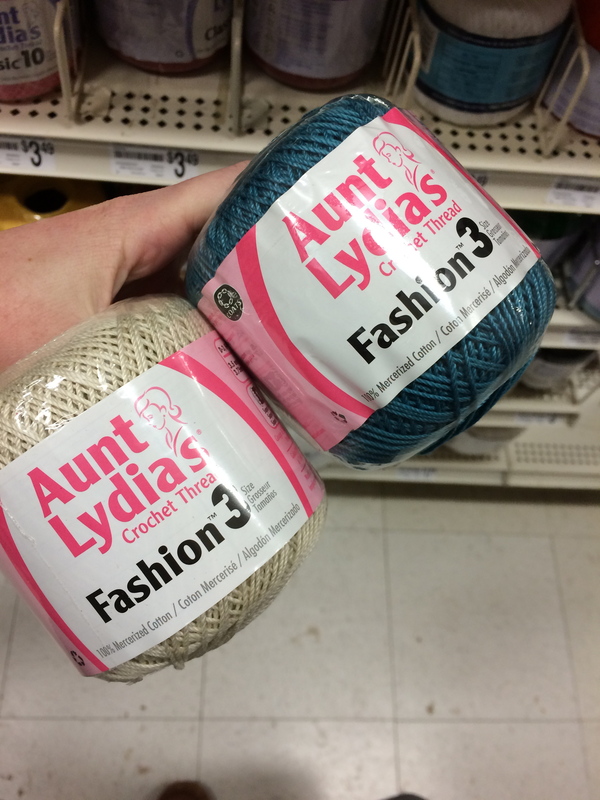 I bought the string at Michaels–Use a coupon! They were both about $2.50. They had thick and thin string, and a variety of colors. sure there was no debris remaining before I stained. 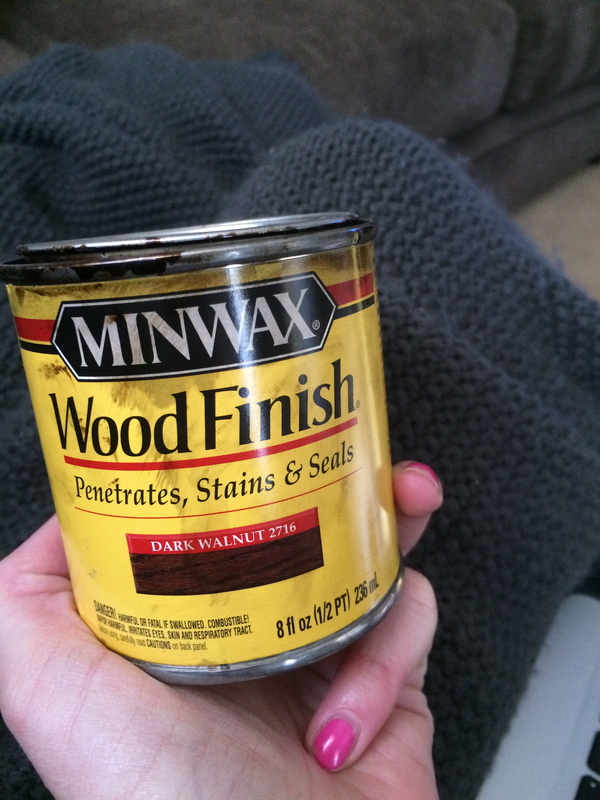 -Stain– I grabbed an old sock and applied two layers of Minwax Dark Walnut. I allowed it to dry over night before going any further. -I centered mine and taped it down so I could nail around the letters. -I used 1-1/4 x 18 Wire Brad nails (pictured above) I found at Lowes for about $2. Home depot did not have as good of a selection. They were skinny and had a small head, and I was worried the string would slip off. This was not an issue though! -It was pretty easy to hammer to nails in. 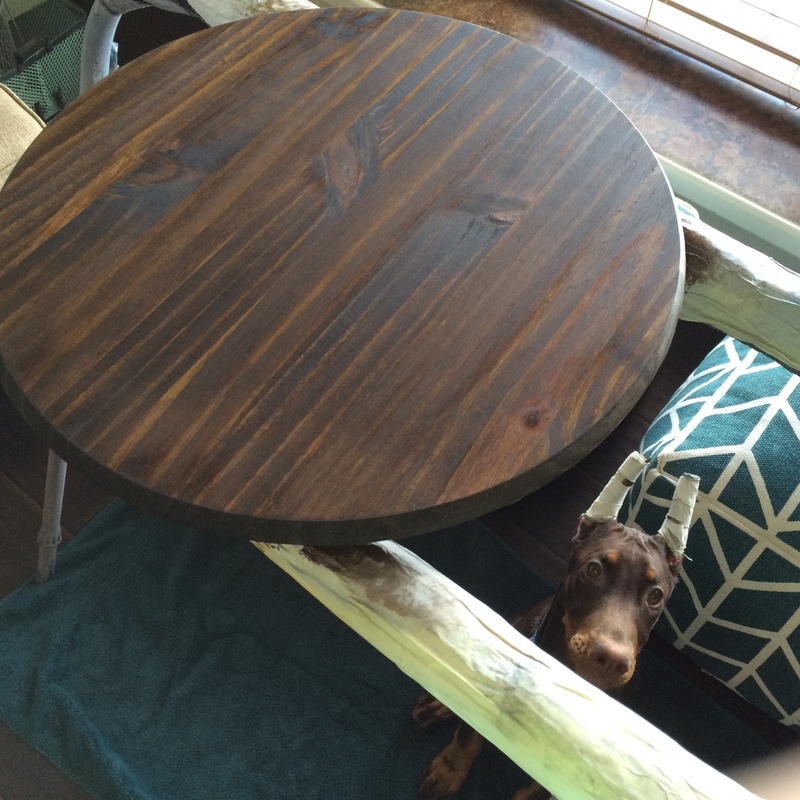 Some parts of the wood made it difficult, but for the most part this went pretty quickly. -I went around the edge as well, just eyeballing it. -I removed the paper and then started to add the string. I tied a knot around a nail and just went nail to nail making little twist. I went around the outside first, going around two times to make it a little thicker. -Then I did the same around the letters. -Now I could connect the letters to the outside. Just keep going until you like the way it looks. I added a lot more the second night so the letters would really stand out. -I attached a picture hanging piece to the back. The other piece that means a lot on the wall is the Euro License place. Like I said above, Bobby has a Jetta and is really into European cars, VW in particular. For Christmas, I wanted one with our anniversary date on it, painted to match our house. I love this and it means a lot to me. 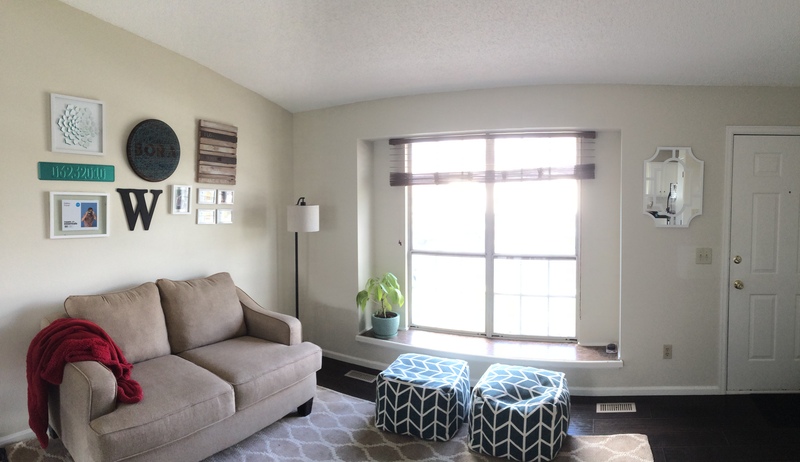 -Buy accessories– Pillows, new throw blanket, coffee table decor, etc. 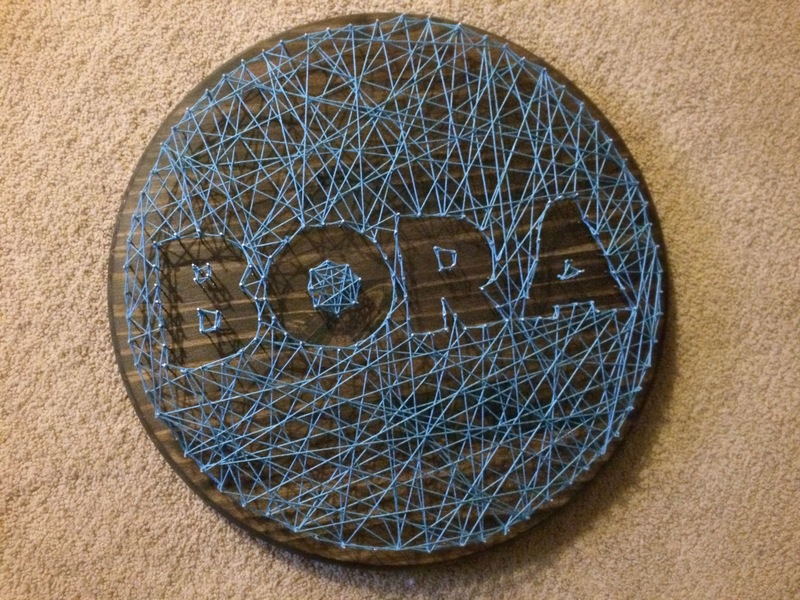 Let me know if there are any questions in the comments below for the string art! 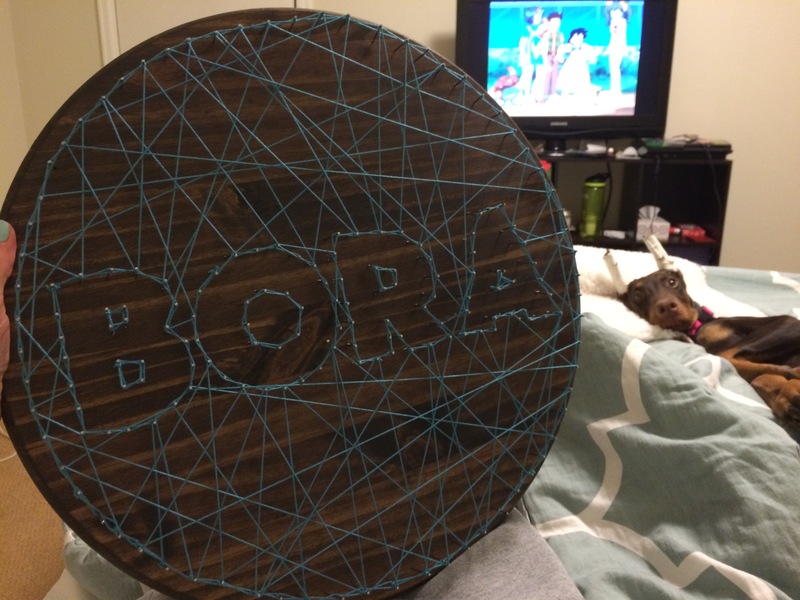 Have you guys made string art before? Where did you put it, did it have any significant meaning for you? I would love to see them! !